Even among the apparently milder forms of children’s athletics there are some that are capable of producing injury or are even deadly at times. The newspapers have recently reported the death from heart failure of three children in a skipping-rope competition and a little later another case of fatal appendicitis from the same cause was also reported in the press dispatches. Such deaths are not so rare and it would seem a proper subject of inquiry just how far and why this particular form of exertion is more dangerous than other similar pastimes indulged in by young children so commonly at this season of the year. In some respects it would seem an almost ideal exercise in moderation, but we do not hear so often of death occurring in other games involving equal or even greater, though more varied, muscular exertion. 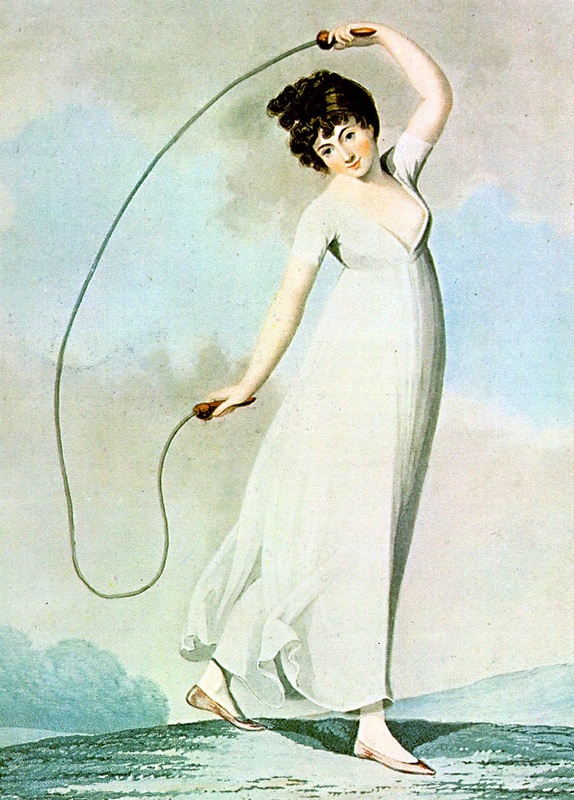 All excesses and overexertion should, of course, be discouraged, but if there is any special peril in the skipping-rope exercise per se, it certainly should be discouraged as a child’s pastime. Your point against rope-jumping is well taken. During a period of four years as medical inspector and medical advisor in certain Philadelphia schools I took every opportunity to discourage rope-jumping, and particularly for all girls over 11 years of age. My objection was that that exercise tended to cause displacement of the uterus of adolescent girls. I would urge physicians to discourage rope-jumping. Presumably Dr Hall never got round to publishing the cohort study proving this hypothesis, because I have been unable to find it despite a careful perusal of the literature. Don’t do this. It will kill you. Thanks for posting such interesting info. I recently ran across a number of articles in the old newspapers online at the Library of Congress which reported rope skipping deaths from the 1880s to the 1910s. In addition to heart failure, some of the deaths were also attributed to meningitis and brain fever. My own thought on it is that the real culprit was corsets, but none of the articles mentions them. As an aside, corsets in the old timey days could get you killed by attracting lightning, but might save your life by deflecting bullets or knife blades, or so say the old newspapers.